DESCRIPTION MC-1 CORNER LOT, BUILDERS,DEVELOPERS & INVESTERS TAKE NOTE OF THIS EXCELLENT INVESTMENT. THIS MC-1 PROPERTY IS IN THE CITY OF CALGARYS MAIN STREET REDEVELOPMENT PROJECTS AND ALLOWS 3 TO 4 STORY APARTMENT BUILDING AND OR TOWNHOUSES. 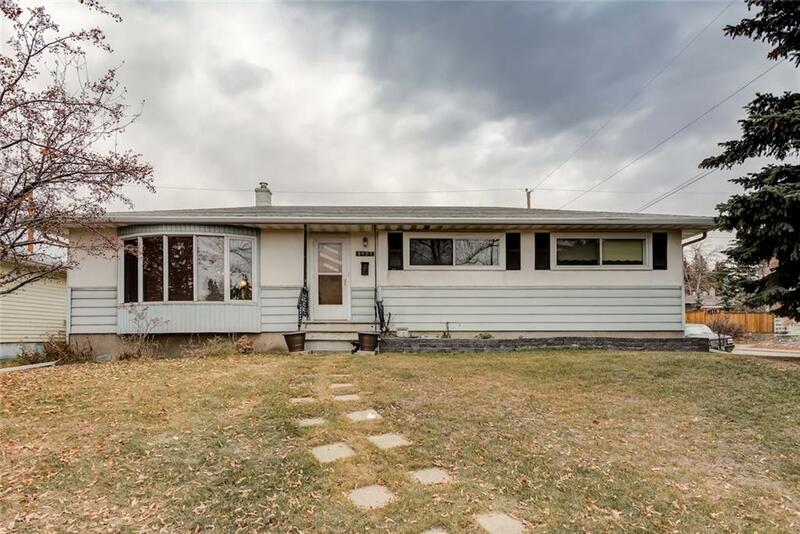 THE FRONT OF THIS HOME SITS ON A 17.1 FRONTAGE ON 37TH ST & 30.46 DEPTH WITH A WEST BACK YARD. THE 1160 SQ. FT. HOME SHOWS WELL WITH AN UPDATED KITCHEN & BATH, HARDWOOD FLOORS,FIREPLACE. GREAT TREED REAR YARD & VERY EASY TO SUITE THE LOWER LEVEL, SINGLE OVER SIZED GARAGE & AND MUCH MORE. GREAT INVESTMENT AND HOLDING PROPERTY. PLEASE CALL ME FOR YOUR PRIVATE VIEWING. HAVE A GREAT DAY.